It was almost a year ago that I photographed Joe and Sara's Penn's Peak wedding (if you missed it, check it out here!). I can't believe how quickly this past year has gone by! I absolutely adore these two and it's so obvious they are more in love than ever. 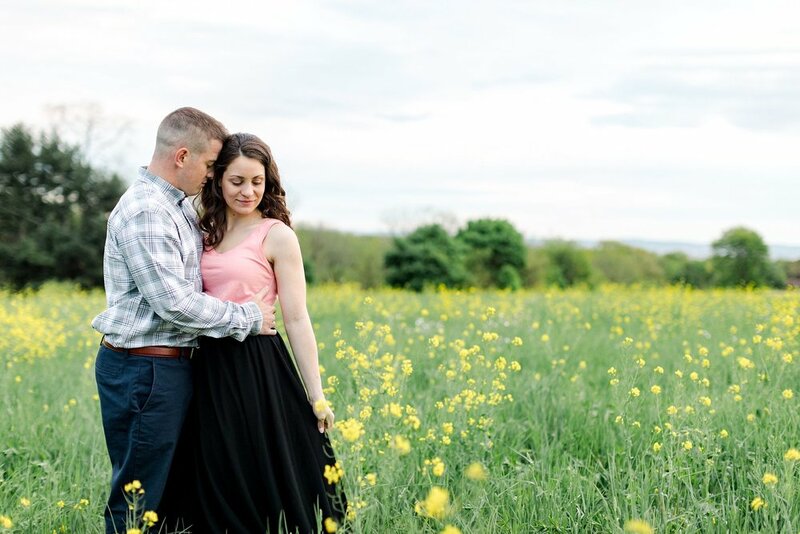 We thought it would be fun to get together for a portrait session to celebrate their first wedding anniversary. I mean, who wouldn't want to photograph these two? They're gorgeous and insanely in love. YES, please! A gracious friend granted us permission to use a flowering field on their farm. The wild yellow blooms were just perfect! I just LOVE how they pop against Sara's flowing black skirt. The clouds were dark and heavy and I secretly prayed that the rain would hold off for us. 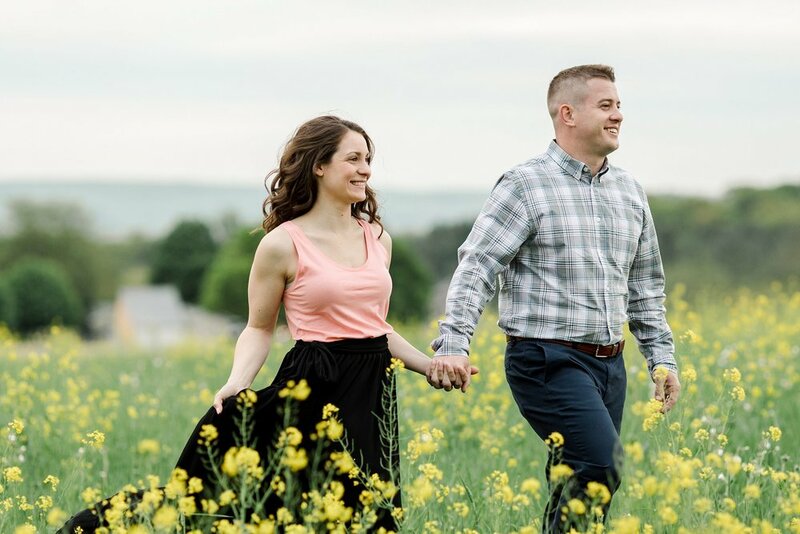 (Come to think of it, it rained during their Lehigh Valley engagement session AND their wedding day!). 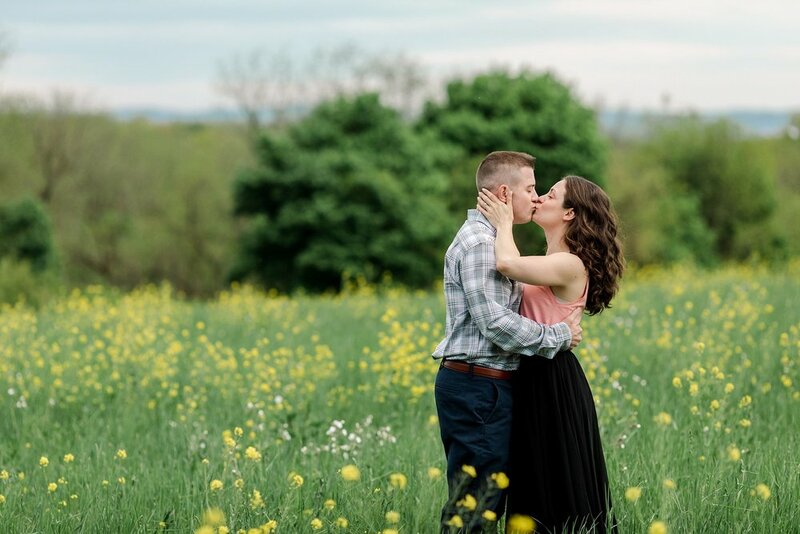 Fortunately for us, the rain stayed away and we were able to capture some beautiful portraits of these two to celebrate their first year as husband and wife! Joe and Sara are just so easy to be around and I honestly don’t think that these two could take a bad picture! 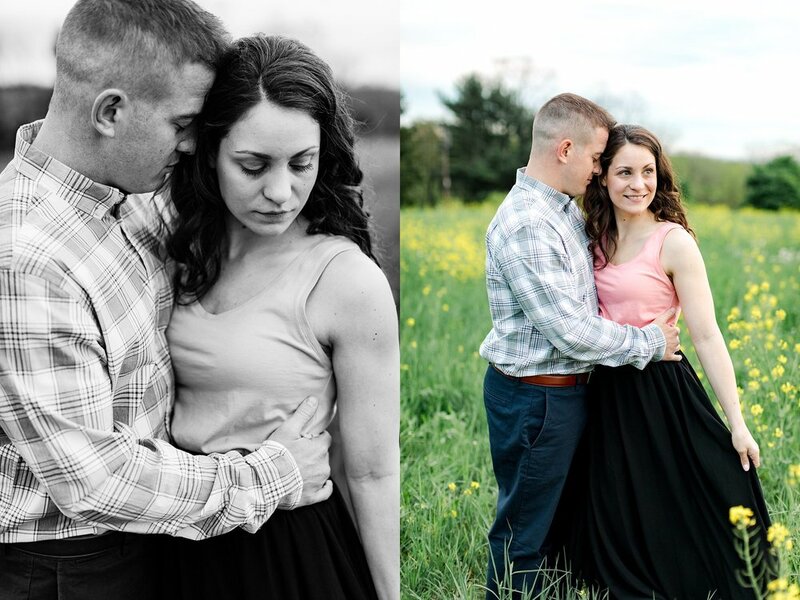 Guys, thank you SO much for trusting me to capture these beautiful anniversary portraits for you. I am so glad you both are in my life and I am beyond excited to see what this next year holds for you. Happy anniversary, lovies! Planning a Lehigh Valley wedding or celebrating a milestone anniversary? Let's chat! Contact Alyssa here.